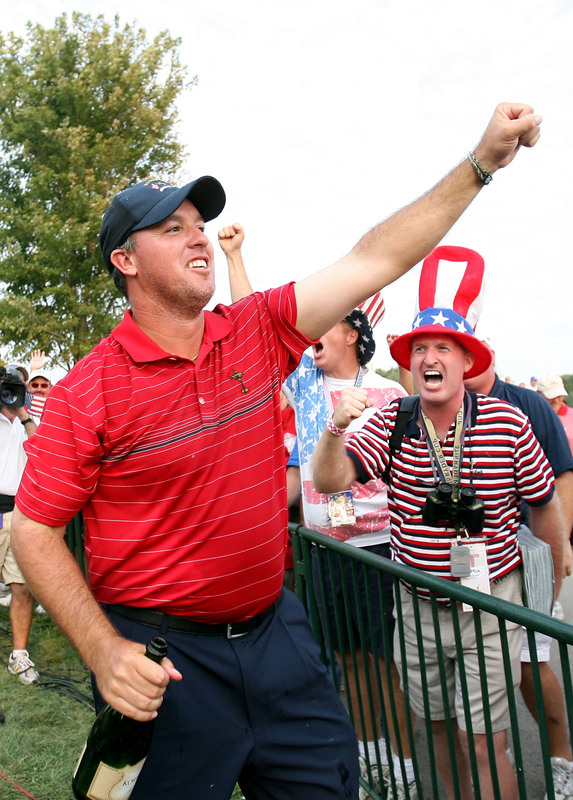 The European team never really got going in Kentucky, and the vibrant US crowd played a huge part in that, led by the fist-pumping, wise-cracking Boo Weekley. But when he wasn’t whipping the galleries into a frenzy, the Floridian was playing some sublime golf, wining two and half points from three. His near-faultless singles victory over Oliver Wilson is perhaps best remembered for a Kentucky Derby-style hurdle down the first fairway. JJ Henry arrived in County Kildare as the 64th best player in the world, but with a solid reputation following his maiden PGA Tour win at the Buick Championship in July of that year. 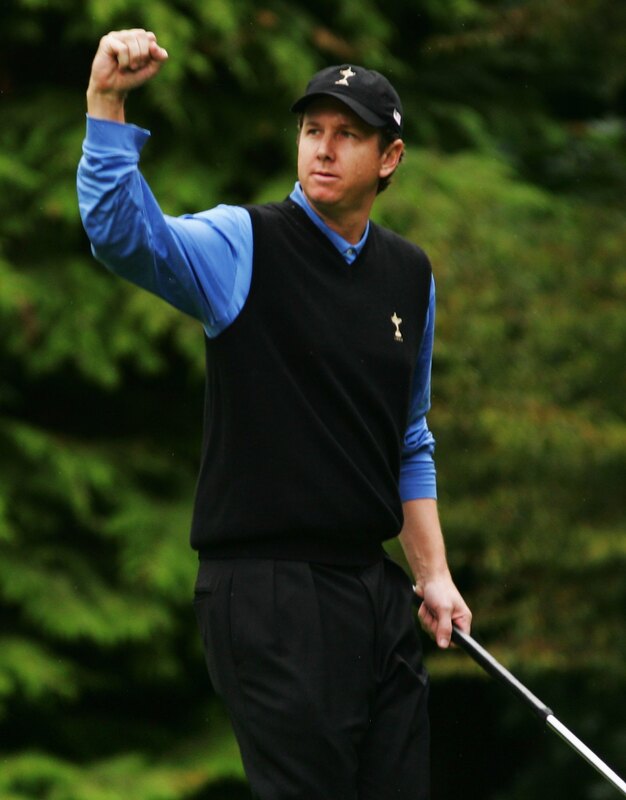 Lean and lanky at 6ft 3 inches, he was one of four rookies in a US team that featured the three best players in the world at the time – Tiger Woods, Phil Mickelson and Jim Furyk – but which went down 18.5 to 9.5 as the Europeans ran riot. To Henry’s credit, he remained unbeaten, claiming three half points in the record defeat. 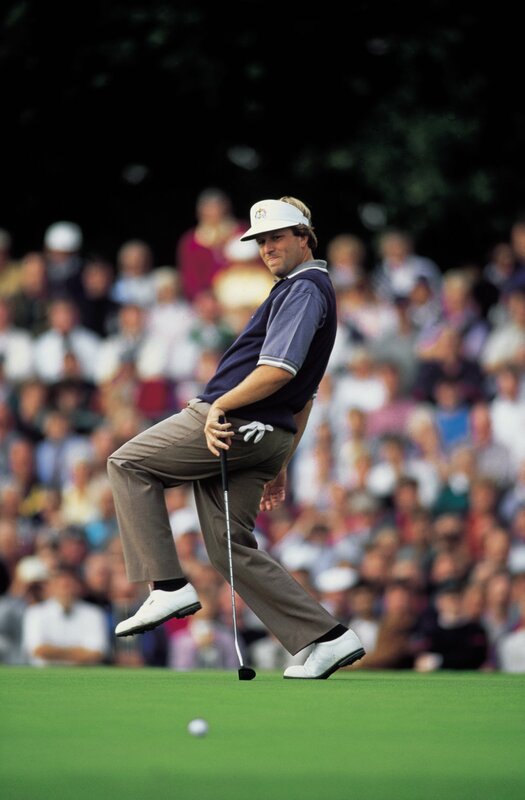 Not many men got the better of Seve Ballesteros in the Ryder Cup, but that’s exactly what Jim Gallagher Jnr did in 1993, when he outplayed the Spaniard to win their singles match 3&2. 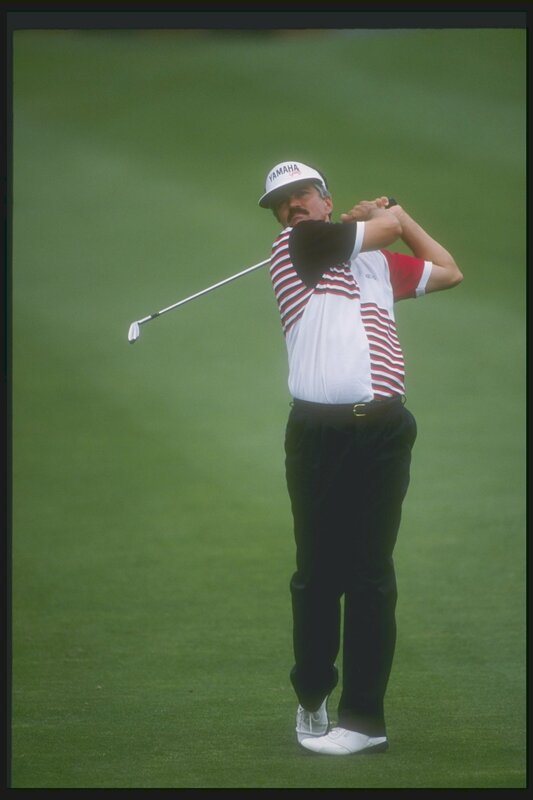 A day earlier, Gallagher (who had won once in 1993 and would also bag the Tour Championship weeks after this contest at The Belfry) along with Corey Pavin, had dismantled the European pair of Mark James and Costantino Rocca 5&4 in the Saturday fourballs as the US staged their comeback that would result in overall victory. 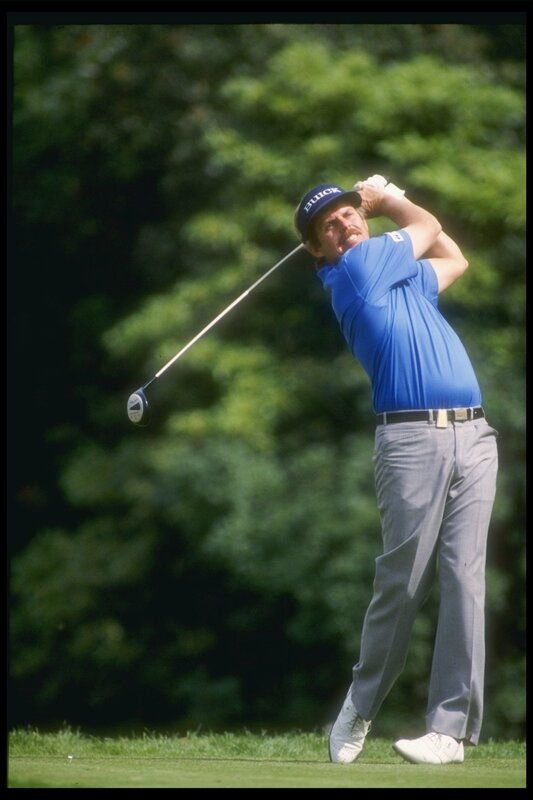 During the late eighties and early nineties, Scott Simpson built a reputation as something of a US Open specialist – winning it in 1987 and racking up another three top 10s over a five-year period. But he was never able to transfer that form onto the weekly grind of the PGA Tour, hence only one Ryder Cup appearance – a losing cause at Muirfield Village. Simpson only played once over the first two days, losing his Friday fourball contest with Ben Crenshaw 3&2 to Jose Rivero and Gordon Brand Jnr. He bit back at Rivero in the singles, winning 2&1, but it wasn’t enough to hold off the sea of blue as Europe charged the Americans down.